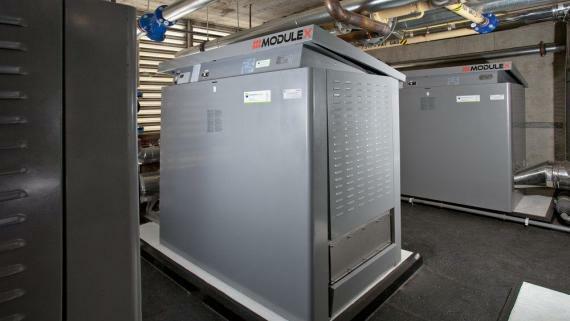 In the last article we discussed how condensing boilers achieve higher design efficiencies than conventional boilers. In this article we look at how the savings are actually better than just the improved combustion efficiency, due to better part load performance and lower operating temperatures. 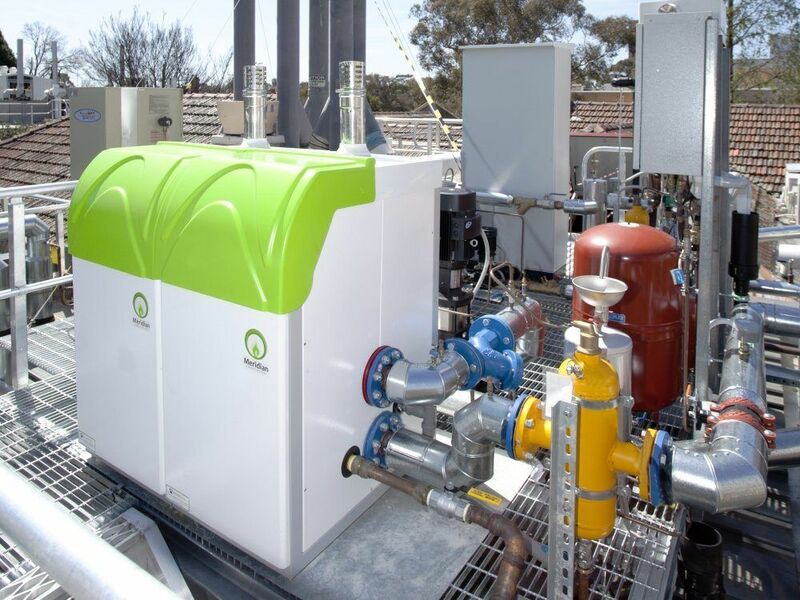 This is the second of a series of articles contributed by Dr Paul Bannister, a thought leader and public speaker on energy and energy efficiency issues in Australia. For other articles in this series, please refer to the links at the end of this article. Standing losses, being the thermal losses from the boiler and more generally the hot water system. Where G is the gas use, Q is the useful system heat load, L is the standing loss of the system and ηcombustion is the combustion efficiency. We will review the influence of the combustion efficiency and ηcombustion and standing loss L separately. 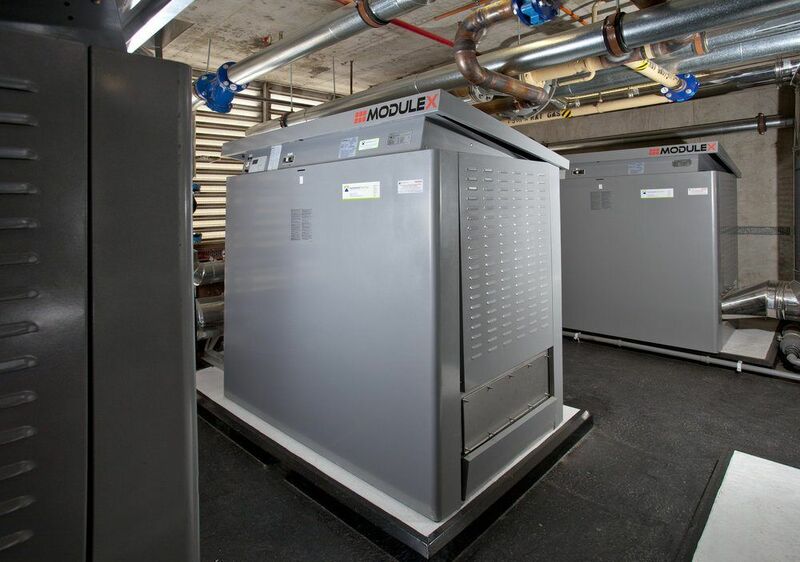 The Modulex Condensing Boiler combines the efficiency benefits of condensing boiler technology with a high turn down ratio of 39:1. Modulex owes this exceptional modulation capacity to its multiple burner configuration; a feature which also provides built in redundancy. Combustion efficiency is the efficiency at which the available heat output from the gas combustion is converted to heat in the hot water system. It is less than 100% because there is energy bound up in the combustion products which is lost via the flue. Furthermore, there is a degree of excess air intake into the boiler (over and above the exact amount needed to burn the gas) which is needed to ensure complete combustion of the gas; this extra air is heated up and lost via the flue. It follows that the efficiency of combustion is affected strongly by the temperature of the flue gases – which in turn is affected by the temperature of the return water (because this is what cools the flue gases down) and rate of boiler firing (% gas input), as shown in Figure 1. Figure 1. Combustion efficiency of condensing boilers at part load (% input) as a function of return hot water temperature. Adapted from “Maximising Small Boiler Efficiency” by Peter D’Antonio, PCD Engineering Services. In the figure, the striking increase in combustion efficiency at around 55°C return water temperature is driven by the commencement of condensation of water from the flue gases. 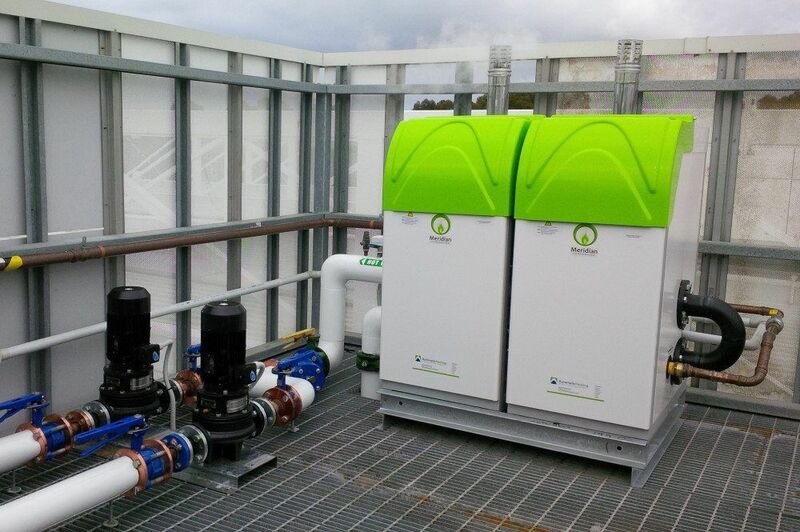 Just as striking, is how much more efficient the boiler is at low load (25% input) than at full load (100% input). This is because the reduced flows of gas and air through the boiler mean that the condensation process can happen more efficiently. 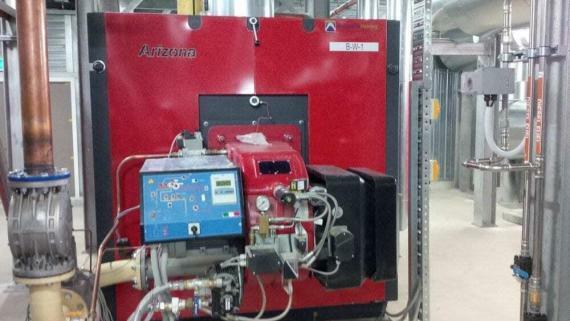 As a result, the combustion efficiency of condensing boilers improves markedly at low load. 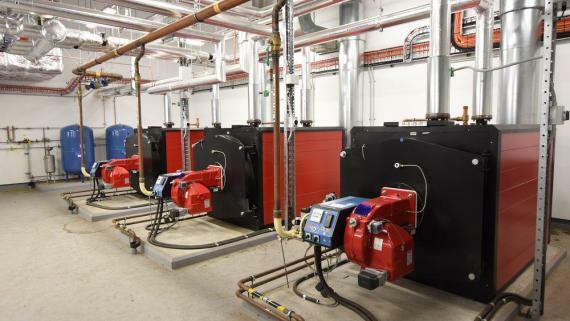 By contrast – as is visible in the non-condensing section of the performance – non-condensing boilers have a fairly constant combustion efficiency across all gas input levels. 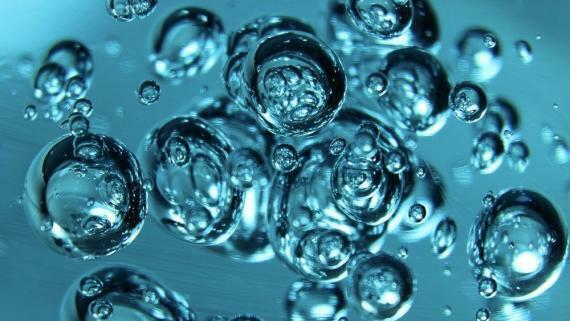 The standing losses for a hot water system are proportional to the temperature difference between the hot water and the air surrounding the pipes. 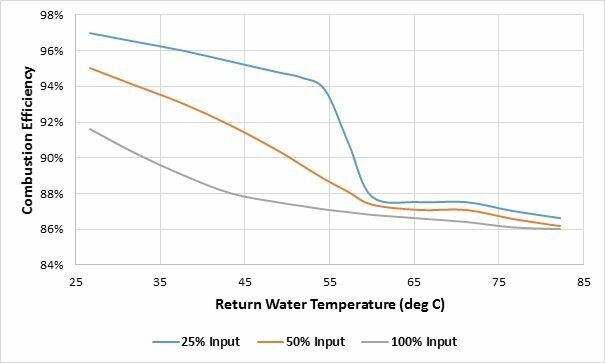 So, very simply, a conventional hot water system operating at 80°C flow/60°C return in a 20°C environment will have two thirds higher losses than the same system operating at 60°C flow/40°C return. Standing losses become more important as the system load drops because the standing losses are independent of the load on the system. The impact of this is shown in Figure 2. 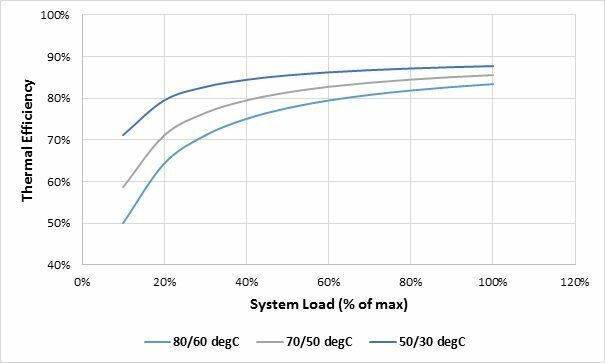 It can be seen that while the difference in system efficiency at full load is only a few per cent, the difference across the range of system temperatures opens out to 15% at low load. Figure 2. Effect of standing losses at variable system temperature. Combustion efficiency has been set at a constant 90% in this diagram; standing losses have been modelled as 8% of system capacity. In reality, the Figure 2 – which is based on equilibrium conditions – underestimates the efficiency benefits of lower temperature operation. This is because it is likely that the boiler system will spend much of the day not running at all when the loads are low. 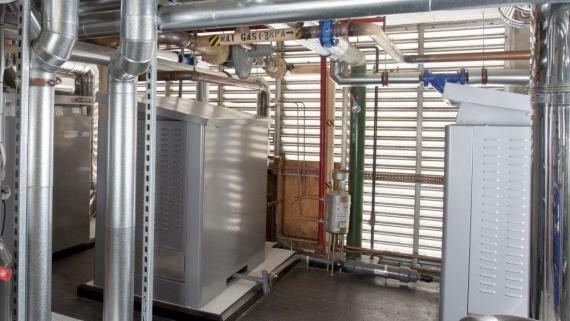 As a result several tonnes of hot water and metal gradually cool down until the next boiler start (typically the next morning), when the system will need to reheat all of that thermal mass up to system temperature, only of course to lose all that heat again when the system turns back off at the end of the day. 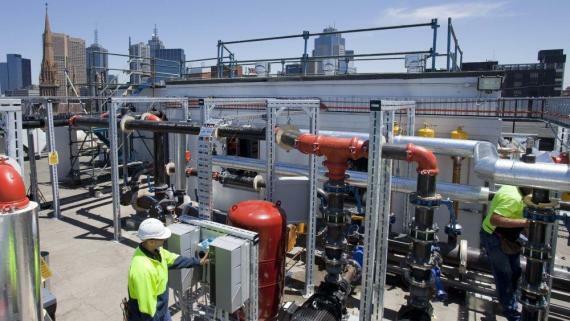 In mild climates such as Sydney, it is not uncommon for this thermal inertial load to account for 50% of the total system gas use. Of course, if the hot water temperature is lower, this effect will be significantly reduced. Condensing boilers achieve high efficiency performance because they combine both high combustion efficiency and low standing losses. This double effect produces large efficiency benefits across the load range as shown in Figure 3. With its high efficiency, compact design and high modulation, Meridian Condensing Water Heaters suit a wide range of water heating applications. Figure 3. Hot water system efficiency comparison. 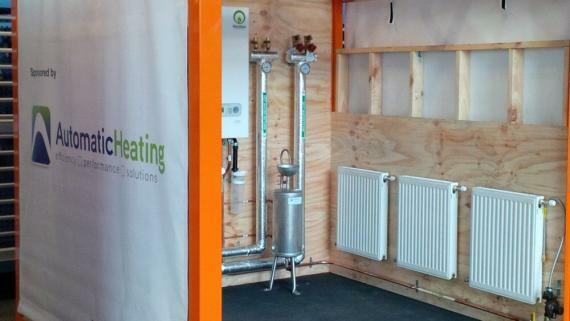 6.7% standing losses at 80/60°C for the conventional boiler; 2.7% system losses at 50/30°C for the condensing boiler. 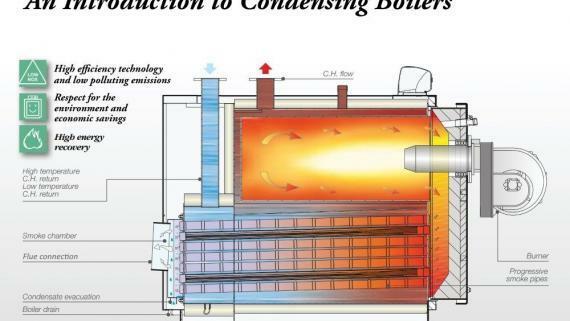 Conventional boiler combustion efficiency 85%. 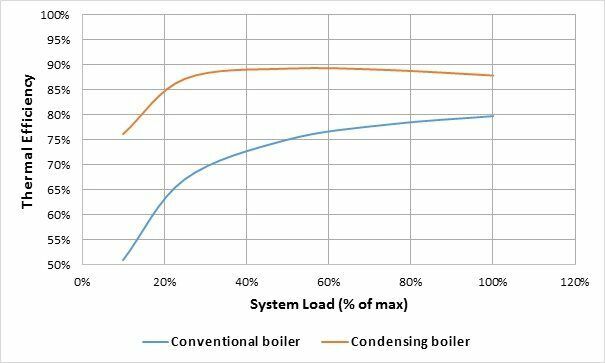 Condensing boiler efficiency as per Figure 1. No purge losses included for either boiler type. Lower standing loss, due to the use of lower hot water temperature set-points. 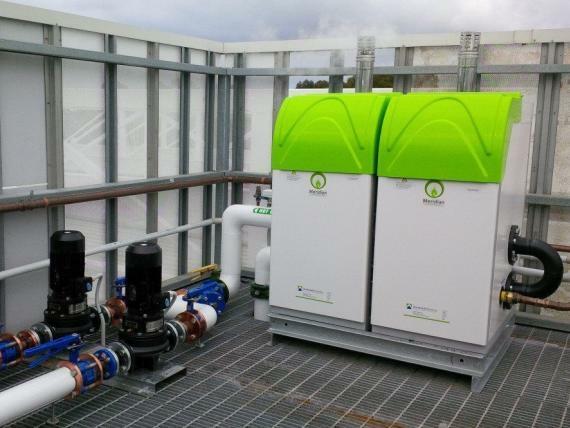 At high load these effects can create a net improvement of around 8%, but at low load the condensing boiler system can be as much as 25% more efficient in steady state operation. 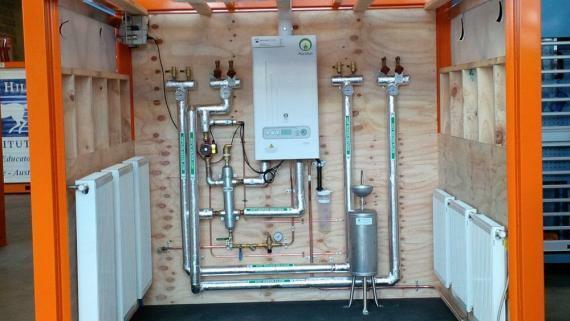 In practice, thermal inertial effects at low load increase the efficiency benefits even further, making a condensing boiler central to any gas energy efficiency strategy.